A city that has grown tremendously and well over the past decade, a city full of hope. As if trying to put its notoriously violent past as far behind as possible, the people of Medellin have chosen, again and again, to invest in themselves and their city. Theirs is now a city of public transit, of parks, of education. 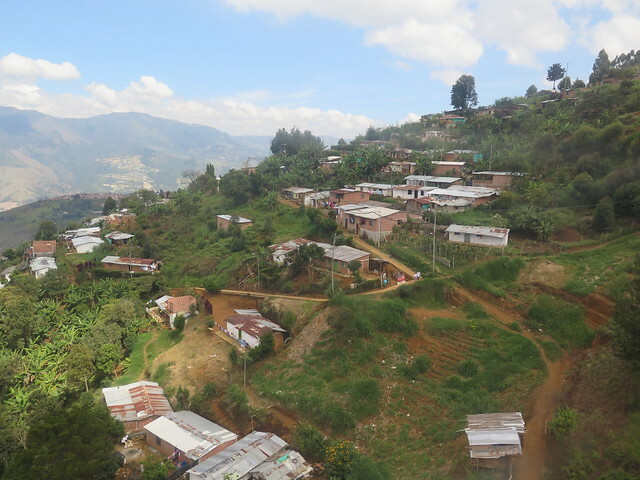 In Medellin we were approached more often by strangers than any other city. Offering advice, asking questions, and telling us about their city, the openness of the people living there surprised and delighted us. We very nearly decided to make it our city as well. Medellin is a sprawling commercial and culture center built in the valley of Aburrá. Long distance transit from the city is available at the north and south bus terminals, as well as an airport just outside the city. Above even the highest hill-top houses lies a span of farmland, and past that forests and mountains, some inhabited. The pulsing artery of Medellin is the metro line that crosses the city. In just n short years, its elevated rail has connected the north and south bus hubs, reached out into the traditionally poor favelas via gondola, and now even provides day trip access to Parque Arvi, the wilderness preserve far east of the city. Free to lower income residents and reasonably priced for everyone else, the metro has reduced travel time across the city, especially the uphill favelas, from hours to minutes. Where the metro cannot reach, the ever-present collectivos and bus routes take over. This cheap and available system of transit has done much to reduce poverty and open commercial opportunity, bringing the city closer to its visible goal of bringing every citizen out of poverty. Around the Metro line are flourishing centers of culture, commerce, and education. 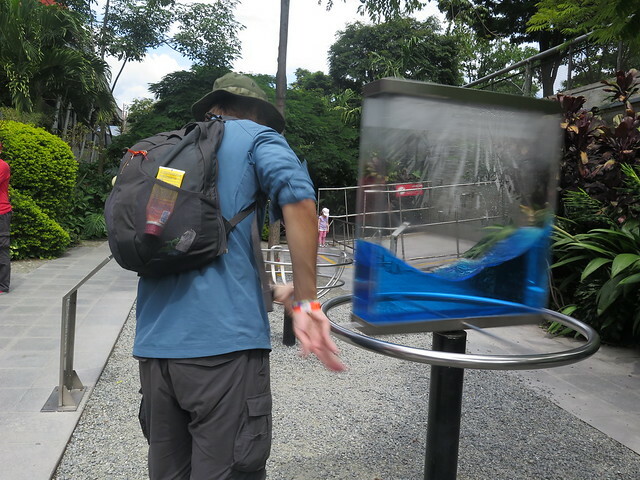 Parque Explora and the neighboring Jardin Botanico at the Universidad stop offer a children’s museum for all ages and a slice of the flora from climates found around the city in a freely walkable park. 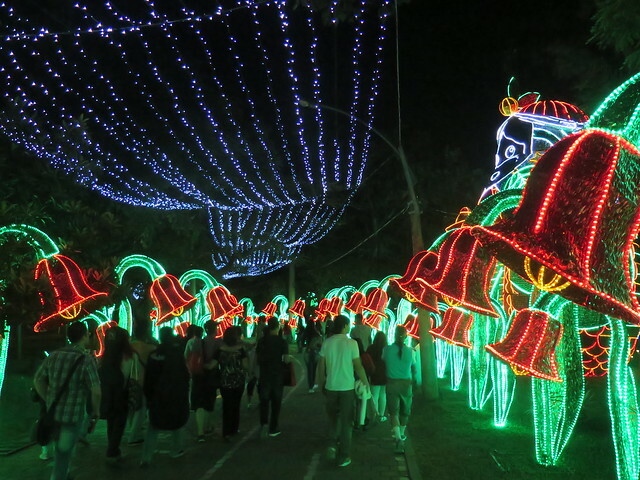 Nearby lies Parque Norte, during December clad in light and filled with holiday vendors. We found ourselves returning to this station again and again, whether for food, exploring the museum and park, or walking around the Christmas displays. To the south lies Zona Rosa, a vibrant though sometimes expensive tourist center built in the hills of the city. Travelers of all nations and incomes gather in the famously safe part of the city, prompting the build-up of a number of specialty restaurants and a cluster of hotels and hostels. At the edges lie two major shopping centers, electronics to the west and department stores to the south. 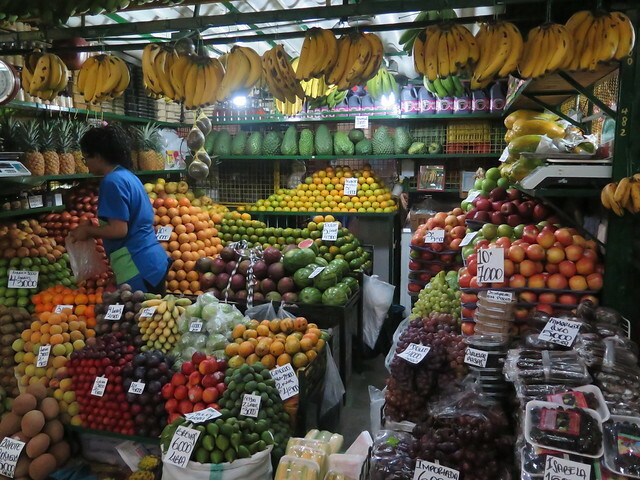 The Zona does not offer a typical Medellin experience, but served us well as a base from which to explore. 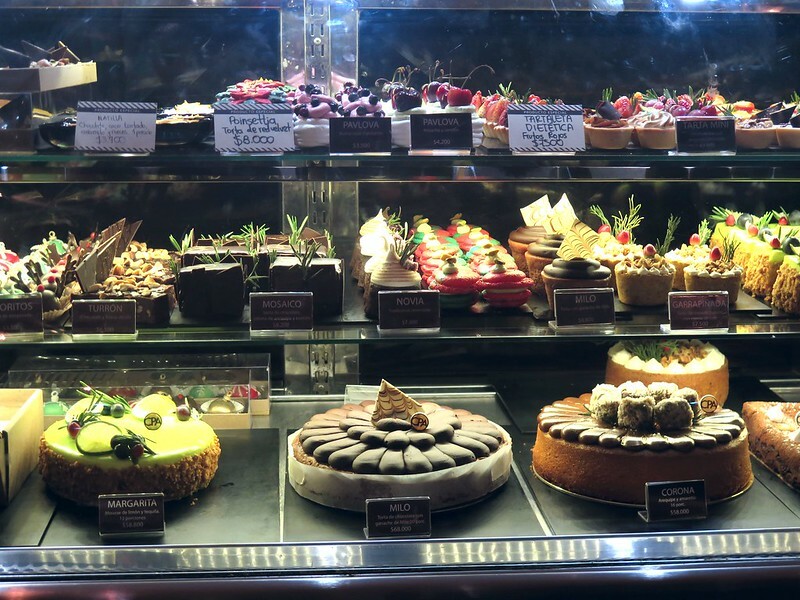 While the food is slightly more expensive for typical meals, the variety of restaurants drew us in. At the center of the city are Stations Parque Berrio and San Antonio. 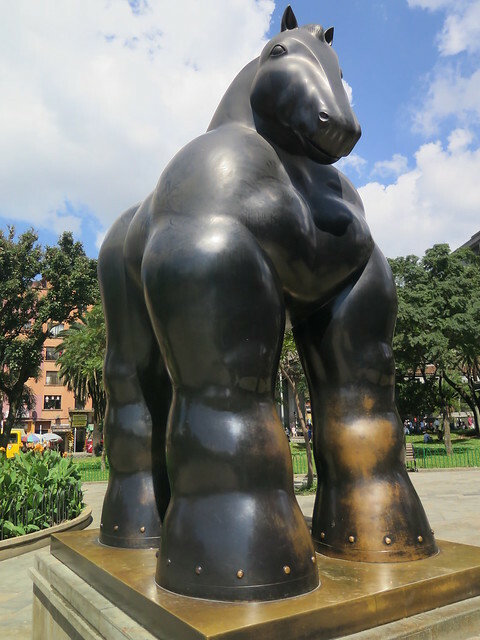 Berrio is a cultural center adorned with statues, museums, and cathedrals.Nearby is one of the largest street markets in Colombia, offering food and goods of an unbelievably wide variety. During our visit the hot sun led us to stalls hawking cups of sugarcane juice with lime, a traditional drink for the area. At Station San Antonio is El Centro, the oft-maligned city center. Recommended by locals only during the day, it holds malls, food of every type, access to numerous transit lines, and a thriving art market. The streets of El Centro are lined with stores and vendors – here is where the street of printers is found, along with the street of ferraterias and leatherworkers. This part of the city is often dirty, noisy, and crowded. At night it is no less active, and though we did not stray too far from the main streets, our several nights in a hotel nearby were enjoyable. At least until 10 pm the center is populated with enough people to feel safe, though many businesses start closing around 9. Outside of the metro corridor are the working centers – auto repair, hardware goods, and bulk markets for every ware. Served by taxis and buses, these swathes of the city are not often recommended to tourists. 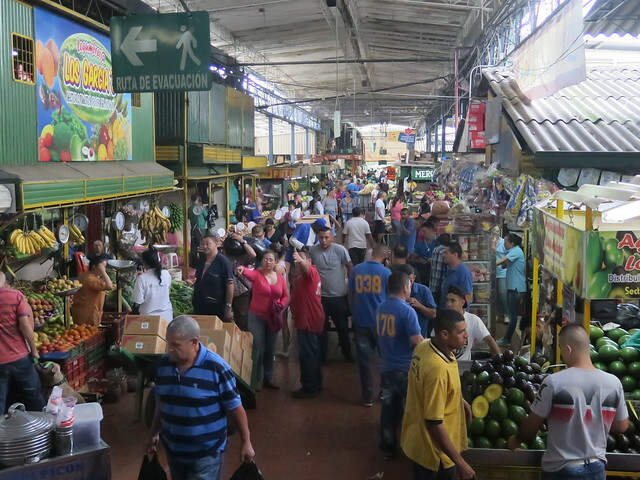 We found our visit to Plaza Minorista, a giant indoor food and hardware market well worth it, though picking a good walking route makes for a better trip. While we were in no real danger, parts of our walk took us through streets that put us on alert and where the locals clearly wondered what we were doing there. Both within the visitor oriented metro zones and the wide city without, we found people to be welcoming and friendly, even in areas where we clearly did not belong. Several fellow metro-riders took the opportunity to practice English with us, others told us of their favorite destinations in the city, and at every communal eatery we were recommended yet more locations for great food. Medellin is not perfect. There are areas where crime is higher than others, and there are streets where the air is filled with dust and smog. Poverty still clearly exists, to us it seemed the starkest income gap yet. Despite this, the city is improving every year, and has in some ways reached fantastic heights. Safety reports are better year over year, libraries are being built in the poorest sectors, and city services are made freely available to those who need them. EPM, the omnipresent utility company offers a credit line to every resident and incentives to business that accept it. The money they make is invested back into the city, leading to such rarities as the first public drinking fountain we have encountered on our trip. 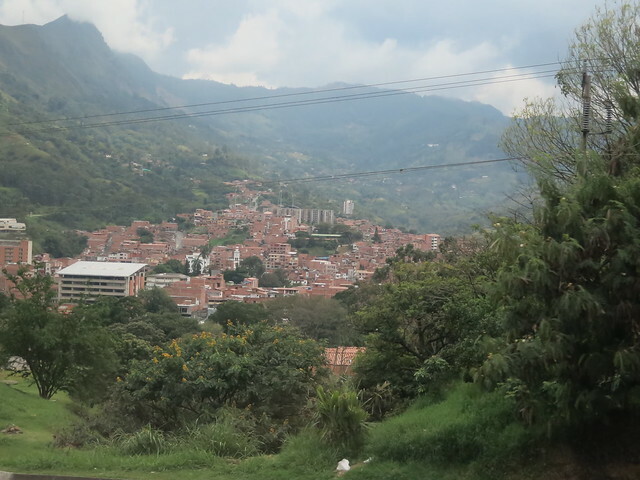 Medellin has so much to offer even the two weeks we spent there were not enough to see it all. We look forward to the day we return to see more. Ed. Note : This was meant to be published first in the line of Medellin related posts, but was left unpublished in the mess of travel.